BTC as friend of sports, art, and young people contributes to scholarships for young athletes • BTC d.d. On 23 May 2018, the BTC Company took part in the charity fundraising for the Foundation for athletes from socially disadvantaged environment, organised by the Olympic Committee of Slovenia. 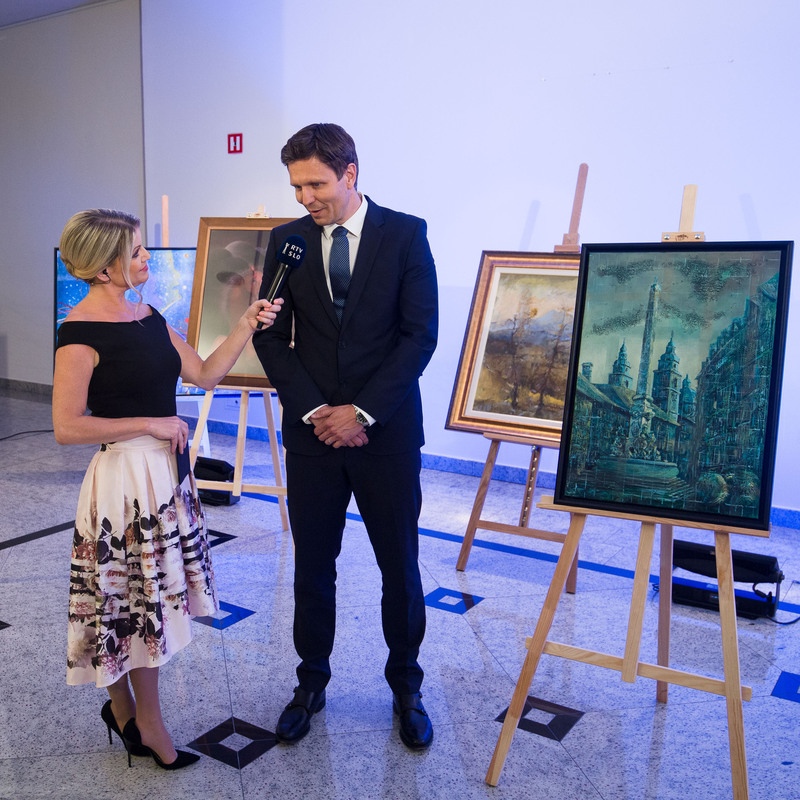 Upon purchasing Matjaž Duh’s painting “The Robba Fountain”, we contributed our share for scholarships for young athletes. In this manner and with a single act, we expressed our triple support and attested to our sense of sports, art, and young people. The acrylic painting on canvas “The Robba Fountain” is an original creation from under the paintbrush of painter Matjaž Duh. He finished his doctor’s degree in art-pedagogical sciences and is currently employed at the Faculty of Education of the University of Maribor. He is active in the fields of science, research and artistic creativity. His work brought him several awards and recognitions. Among his thematically very diverse pieces of fine arts, you can find his original interpretations of vedutas and landscapes. “The Robba Fountain” veduta originates from an international project Our Ljubljana, presented at the National Museum of Slovenia. The proceeds of the purchase of this art piece at the fundraising event will be used for supporting the efforts of young athletes from a socially disadvantaged environment.